SYDNEY-listed Paladin Energy said it was considering re-opening the Langer Heinrich uranium mine which it put on care and maintenance (C&M) in August with a sustainable uranium price among the key considerations in a 2019 pre-feasibility study. The company would also assess means towards an efficient re-opening process as well as finding ways to resolve problems associated with the stability of the mine, lowering costs and assessing the feasibility of producing vanadium as a by-product. “We want to position Langer Heinrich to be among the first significant global producers to return to production once the uranium price recovers to acceptable and sustainable levels, which it is moving towards currently,” said Paladin Energy CEO, Scott Sullivan. “It is expected to have a relatively low cash cost of production based on current plans and relatively low capital expenditure needed to restart from C&M and we want to improve our production strategy even further through the Optimisation Studies,” he said. 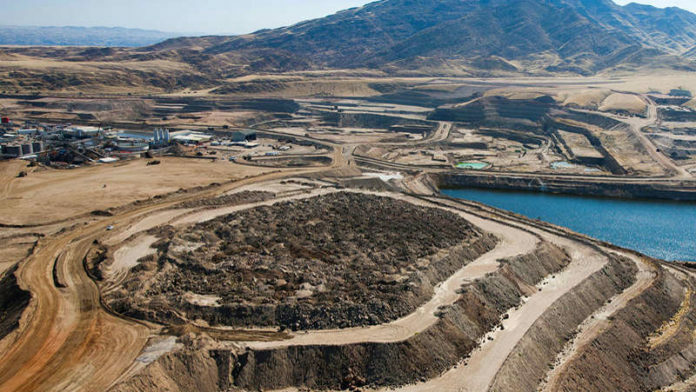 Sullivan, formerly GM of Newcrest Mining’s Telfer gold/copper mine, was appointed CEO of Paladin following the resignation of Alex Molyneux who ran the company for three years. Molyneux nursed Paladin through company-threatening times following a decline in the uranium price. The company also operates the Kayelekera mine in Malawi. Employees who were involved in operating Langer Heinrich are also working as part of the team to ensure plans are optimised for implementation, the company said.